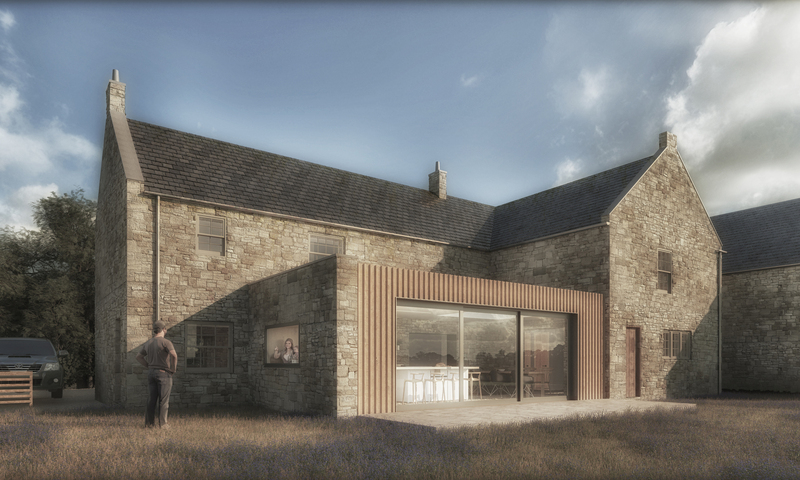 Greatspace were commissioned to design a single storey extension and internal reconfiguration of a traditional farmhouse near Stocksfield in the Northumberland countryside. The original building was originally two cottages that had been knocked together to form a single home. With many of the rooms being small and disconnected, the family had no shared social space to enjoy together. Our solution introduced a new extension to the south and punched large openings between the smaller spaces to create a singular space at the heart of the home. The stone removed is recycled to build a ‘bookend’ wall at the head of the new kitchen in line with the gable opposite. Set slightly back from the masonry, bridging the gap between the new wall and gable, will be a light timber clad structure with sedum flat roof. 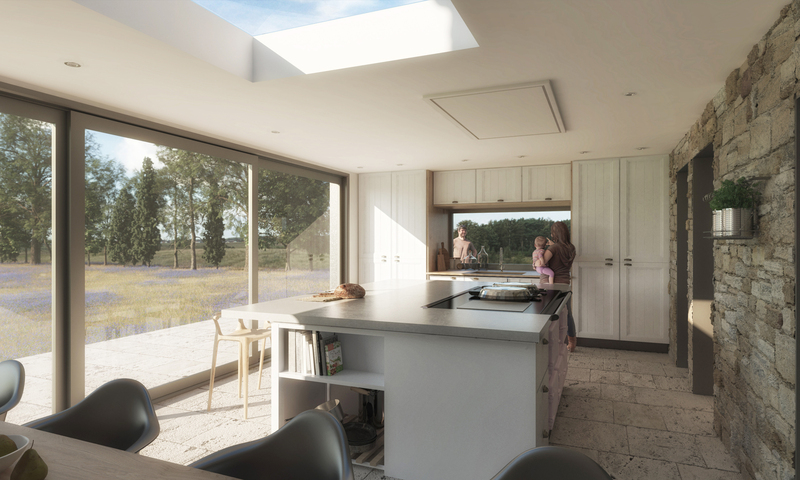 The panoramic glass doors will make the most of the south-western views across the open countryside and will provide a seamless connection to the large garden.